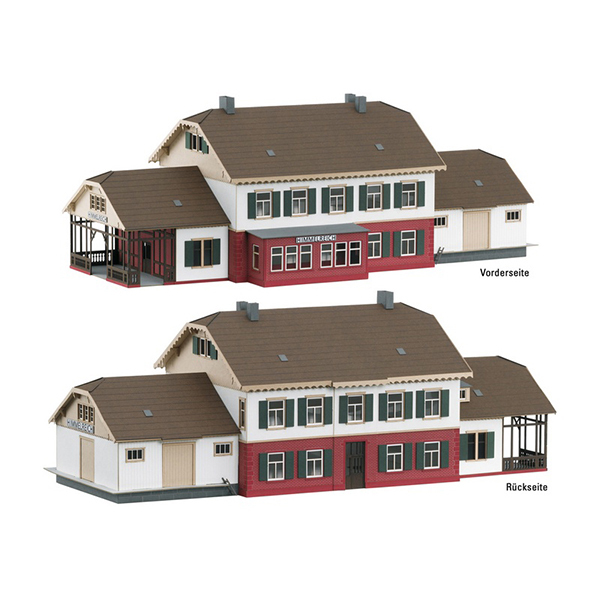 Prototype: Himmelreich Station located on the well-known Höllental Railroad in the Black Forest. Model: This is a building kit made of fully colored laser-cut architectural board. This kit has very fine, laser-engraved details. Extensive building instructions are included. Dimensions: approximately 208 mm / 8-3/16" x 94 mm / 3-11/16" x 74 mm / 2-7/8" (L x W x H).